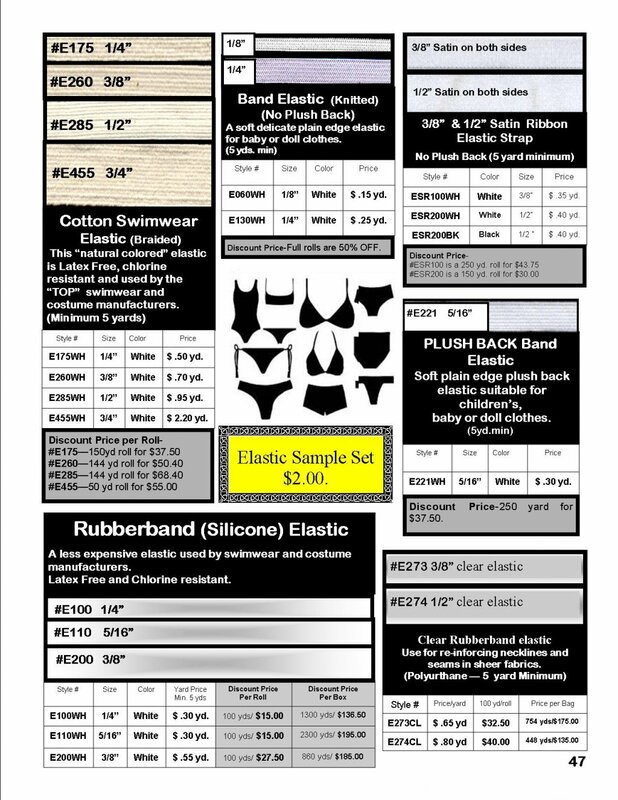 Elastics - Fabric Depot Co. 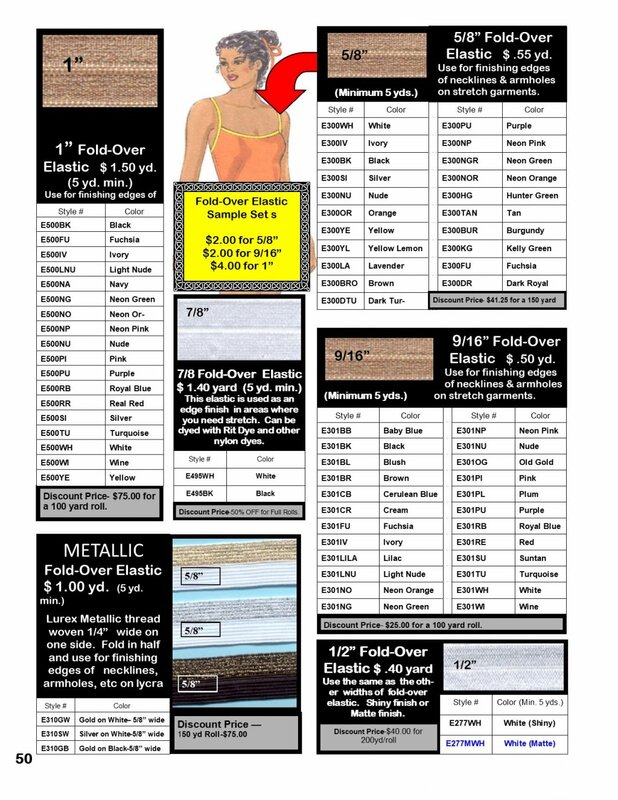 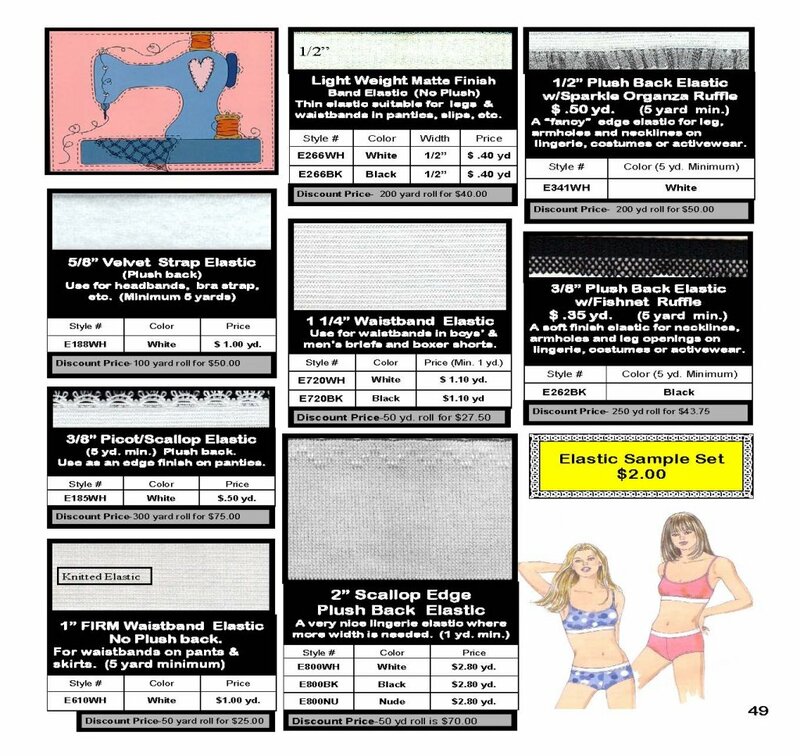 Fabric Depot has an wide assortment of specialty elastics for lingerie, swimwear, leotards, dance and skate costumes, cosplay, etc. 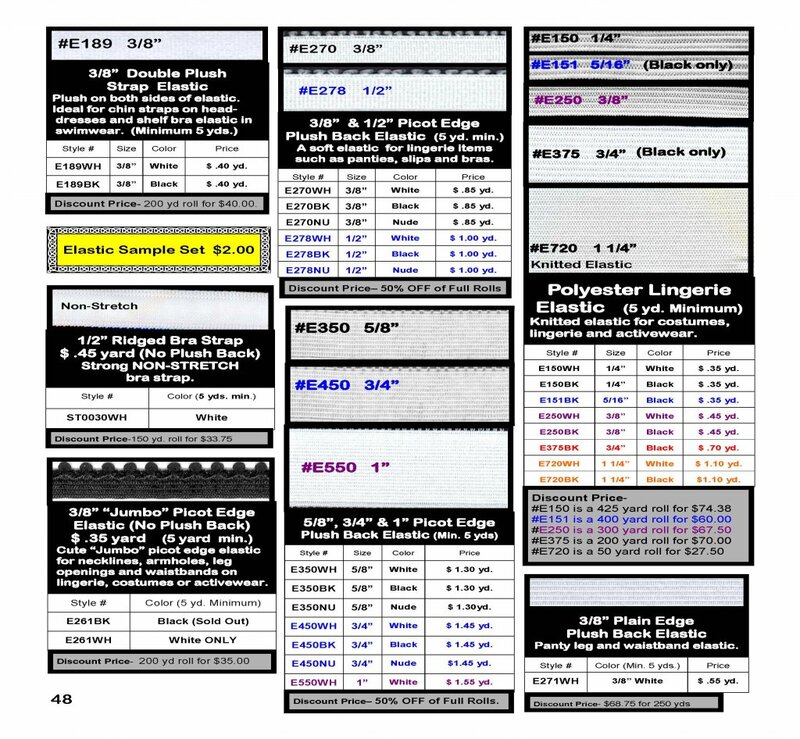 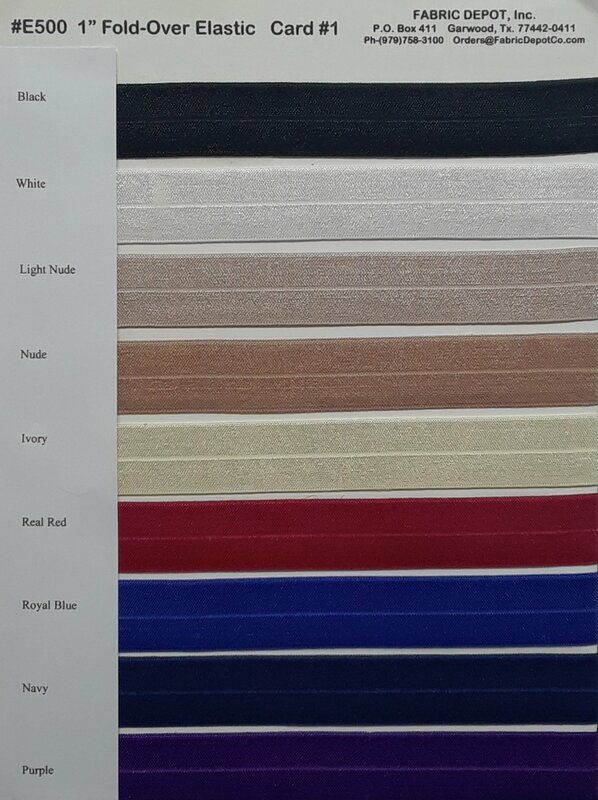 They come in various widths and styles for interor and exterior use, including decorative sequin trims and fold-over elastics in a range of colors. 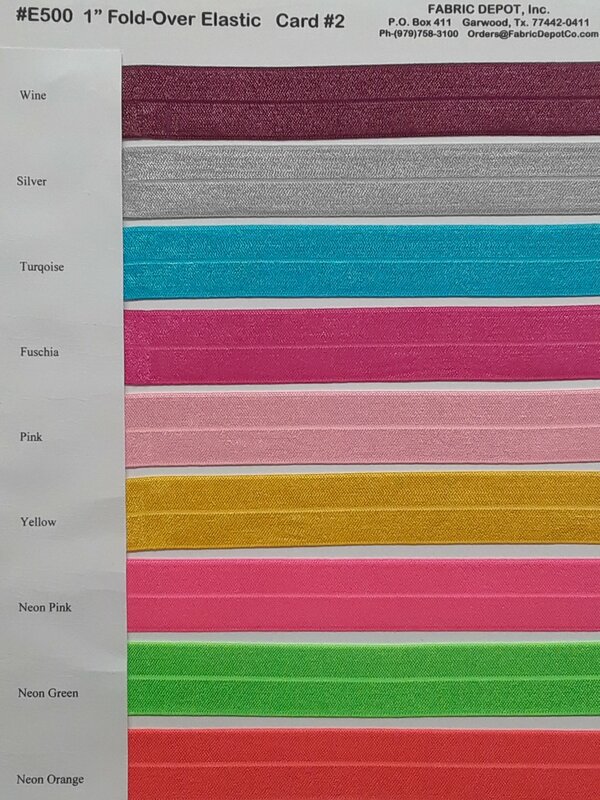 Orders are 5 yard minimum for all elastics.